Lyndhurst Flotation Bed Group with Fast Free Shipping! The Lyndhurst Bed. 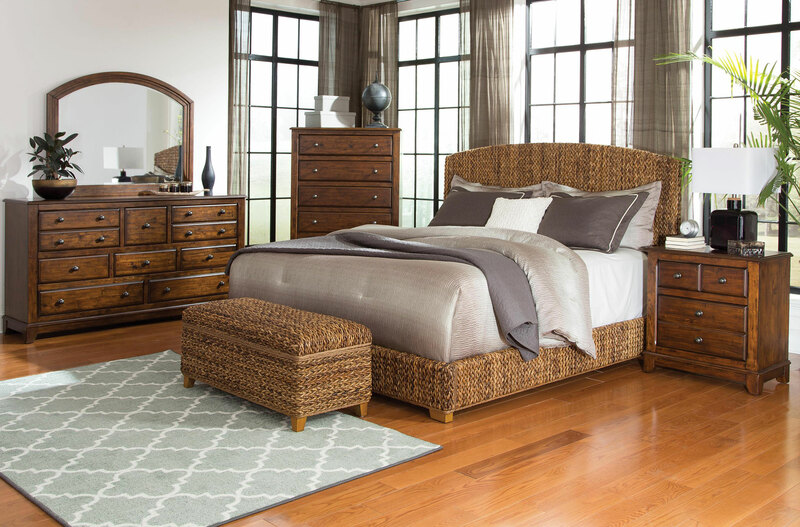 Modern country style bed in banana leaf woven finish. Includes: headboard, footboard, side rails. (Does not include mattress). Mattresses sold separately. 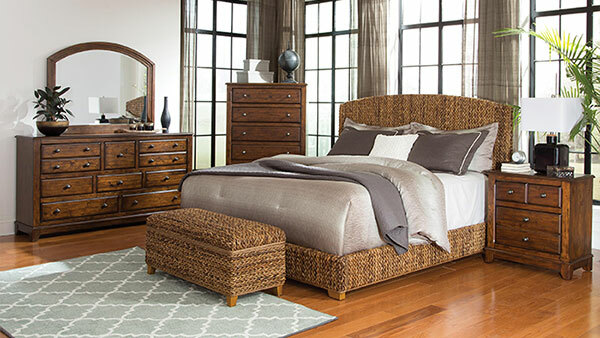 The Lyndhurst Bed is a modern country style bed with a natural brown banana leaf woven finish. Constructed of solid wood. Includes: headboard, footboard, side rails. (Does not include mattress). Mattresses sold separately. The Lyndhurst Flotation System includes: Bed, 8" deep plush-top soft side mattress and 9" foundation for a complete modern flotation system. Available in Queen, King and Cal. King sizes. The Lyndhurst Bed Includes: headboard, footboard, side rails, premium full depth 8" mattress and foundation for a complete flotation system. The Lyndhurst Bed Includes: headboard, footboard, side rails. (Does not include mattress). Mattresses sold separately.